The All Progressive Congress (APC), National Vice Chairman, South South, Ntufam Hilliard Etta, has said that the National Working Committee of the party was investigating the activities of the Minister of Niger Delta Affairs in Calabar, Cross River State. 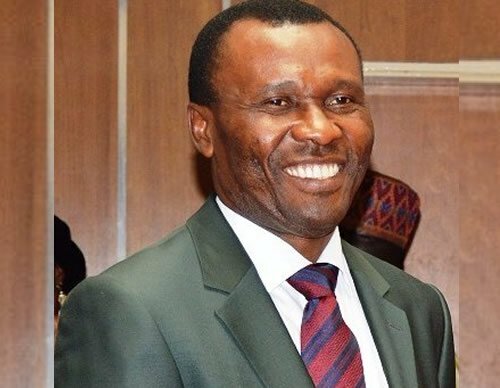 Usani is a factional governorship candidate of the APC in Cross River. Already, the party had written to the Inspector General of Police (IGP) to investigate if those documents Pastor Usani submitted or attached at various courts documents, which carried the party emblem truly emanated from the party or were forged. Ntufam Etta said “We have already written to the Inspector General of Police (IGP) to find out if those documents he submitted or attached in his submission at various courts processes are genuine documents of the party. “Or if they carried the emblem of the party and were forged, then somebody must have committed a crime in the name of the party and we will take that up as a criminal matter”. “We as a party cannot allow the party to be brought into disrepute; we will do everything that is constitutional to make sure that those who contravene our laws are sanctioned. Ntufam Etta noted that the party is not oblivious of the activities of Pastor Usani Usani and at appropriate time the party will take a decision on the activities of Pastor Usani, “I will not want to say more than that, I am just one out of 21 member of National Working Council (NWC). “Have you ever interrogated the law of Nigeria that stipulates that if you must contest for the governorship in any party, whatsoever position you held as appointee or an elected officer and except the legislature, that it was incumbent on him to resign 30 days into that election. “Have you bordered to ask Pastor Usani why he has not resigned and why he persist in campaigning even when he has not resign, except that he want to confuse Cross Riverians to the advantage of other candidates. “I have been a politician since I was 17 years, I know that every action that we take as politician must be for self interest, every action has a reaction, every action has a motive, it has a purpose, now what is a purpose of campaigning as governorship candidates of the party when you are not. “You have not been declared by the court, you have not been declared by your party, your name have not been published by INEC, what is your purpose, the purpose is to weak the platform, to destroy the party to the benefit of others, you don’t need photograph or statement but for him to explain, he is not the only persons that felt aggrieved, that the party did not give the ticket of the party. He said that Senator Magnus Abe felt aggrieved but he is not campaigning in Rivers State, Uche Nwosu had to go to AA to go and ventilate his political aspirations because he thought that APC shut the door on him, same thing with others. “If Usani actually wanted to be the governor, if Usani feels that the people of Cross River State want him as governor, what would have happen, would have been that, if the party refused to give him the ticket, he would have gone to court as he had done and wait for the judgment and after the swearing in of John Owan Enoh, then the court will do what they did in Rivers State. The other option would have been for him to have left the party to another and take the ticket and canvass for votes and win election in Cross River State, so what he is doing has no place in law and decent political conduct. Consequently, on the postponement of February 16 Presidential election, Ntufam Etta said, “It is very sad that the Chairman of INEC has postponed this election because I know that by Sunday or Monday all these would have been put to rest. Our people are very incompetent, we lost it with oil boom, we lost our desire for incompetent, we lost our desire for excellence, we lost our desire for achievement. “Prof Mahmood Yakubu is part of Nigerian society; he has just shown a very high level of incompetent because if you have been given a task and given 4 years to carry out that task and resources given to him, he has no right to fail. According to him, not everything is politics, when an Institution of government shows this kind of incompetent, it is not politics, it is a collective indictment on our ability to conduct our affairs. “Giving this development, it became very doubtful that INEC will give us credible, fair and free elections but all of us can only help INEC, and let they give us the kind of process we all desired. “We desire a free, fair and credible process and I believe all of us will put our hands on the deck, help INEC, the best way that we can, I am very sure we will be able to achieve free, fair and credible process,” he stated.